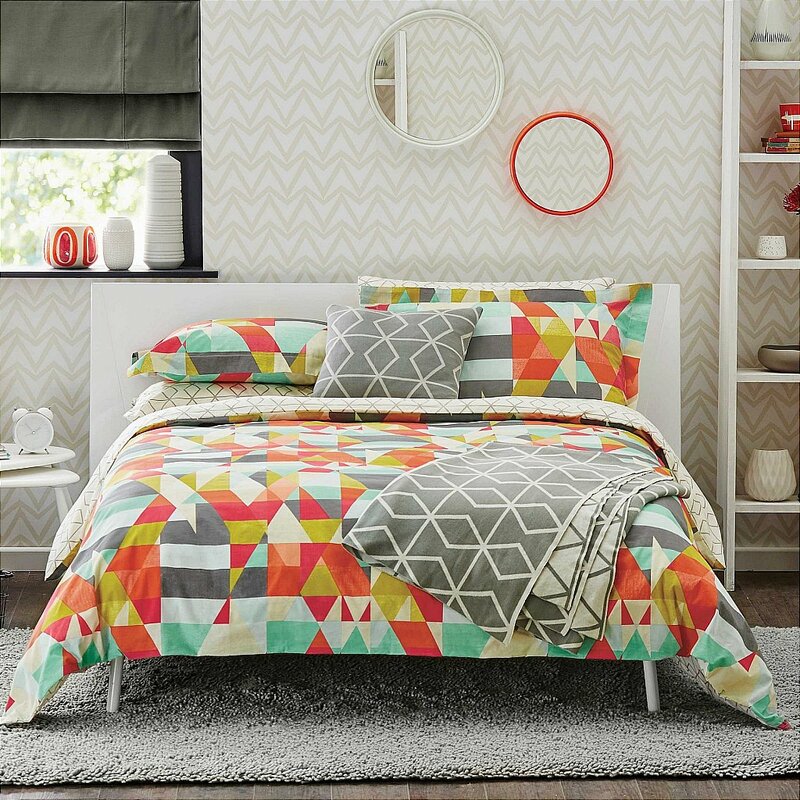 The duvet cover -single, double, king and super king- features an all over geometric, kaleidoscopic pattern taken from the wallpaper design of the same name from the Spirit + Soul collection. Printed on 100 percent cotton percale, the reverse is adorned with a zig zag line design on a plain ground. The oxford pillowcase features the kaleidoscopic design on both sides and the housewife pillowcases match the design of the duvet reverse. Axis is complemented by a two-colour jacquard knit throw in 100 percent cotton -150 x 200cm- featuring the zig zag line pattern and a square cushion -45 x 45cm- in the same design. Composition: Duvet Cover + Pillowcases: 100 percent Cotton Percale. I would like more information about Scion Axis Bedding in Sunset by Bedeck.